From the back of the BOCD: Silas Heap's seventh son, Septimus, has just been born. Silas is in the woods collecting beneficial herbs for his newborn when his wizard ears hear a faint heartbeat--another infant, a girl, has been abandoned in the brush. Silas brings her home only to discover the midwife whisking Septimus away, declaring that he has died. Soon the Heaps realize what only the ExtraOrdinary Wizard knows: not only is their new daughter really a princess, but their son is alive. Before the Heaps can find Septimus, though, they must keep the princess safe from the assassins who killed her mother and want to prevent her from ascending to the throne. 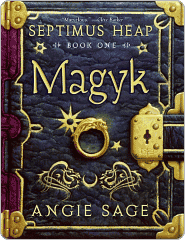 British author Angie Sage begins an enchanting trilogy with MAGYK. Her incredibly popular novels have been compared to the Harry Potter series. Narrator Allan Corduner's performance of this exciting and quickly paced tale will bewitch listeners. I did enjoy this story, but I am going to have to relisten in the car or get the book to read as a handheld. I didn't get as much of the story as I would have liked. 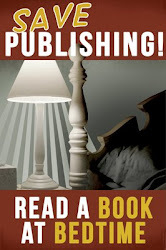 And it's a fabulously engrossing tale, intricately woven and deserves better attention. If you like a well told fantasy tale with magic and humor and excellently drawn characters, then this story is for you. I will get this trilogy in audio and for the shelves to read for Lady K.
I've heard lots of good things about this one, yet another on my ever growing wish list. HOLEY CRAPPE!! I've Reached 1000 POSTS! !